We offer our clients wide range of Side Lock Holders, that are highly appreciated by our esteemed clients for extra strength and durability features. Further, these Lock Holders are manufactured from high grade steel and are mostly used for Straight Shank Cutter in various industries. 1. Taper Cone as per AT3 class. Available for straight Shank Tool upto 25mm Dia. Side Lock Holder offered by us is available in various sizes and specifications. This Side Lock Holder is suitable for milling machines in which a grub screw from the side secures the milling cutter into the arbor. Moreover, these products are highly resistant to corrosion and known for their availability in various sizes. 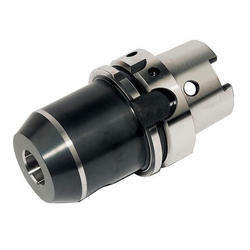 We offer Side Lock Holder that is appreciated by the clients for extra strength and durability. Manufactured from high grade steel. These Side Lock Holders are manufactured as per ISI and DIN specifications. 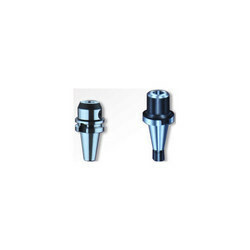 Further, to meet the specific demands of our clients, these holders are offered in standard sizes with a wide range of diameters of shank cutter. We are the prominent Manufacturer and Supplier of Side Lock Holders.We offer high quality side lock holders, mt adaptors. With a firm commitment to quality, our organization is involved in offering a wide ambit of Side Lock Holder. Note: For more Price range kindly refer PDF.